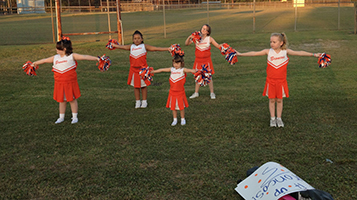 The City of Gautier began running the Gautier Youth Football & Cheerleading League in 2013. In 2014 the Jackson County Football Association was formed by the cities of Gautier, Pascagoula, Ocean Springs, and Moss Point. Each city maintains their own independent leagues, but share the same rules, schedule games together, and share playoffs & Super Bowl. We strive to provide an environment for the youth that will foster teamwork, fundamental skills, responsibility, safety, and discipline. Games are played at Gautier High School Stadium, Pascagoula Fields on Tucker St., Ocean Springs Sports Complex, & Moss Point High School Stadium. 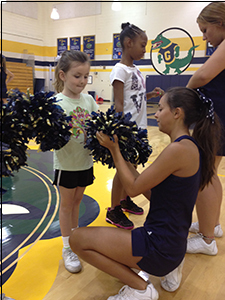 Ages for football and cheerleading are 5 to 12. Age is determined as of September 1st. 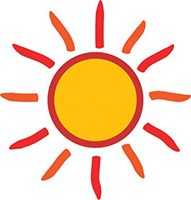 Teams are formed in age groups of 5-6, 7-8, 9-10, and 11-12. 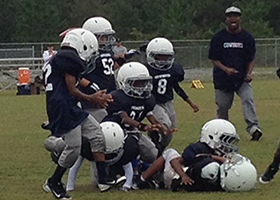 Ages 5-6 play flag football and all other age groups play tackle football.